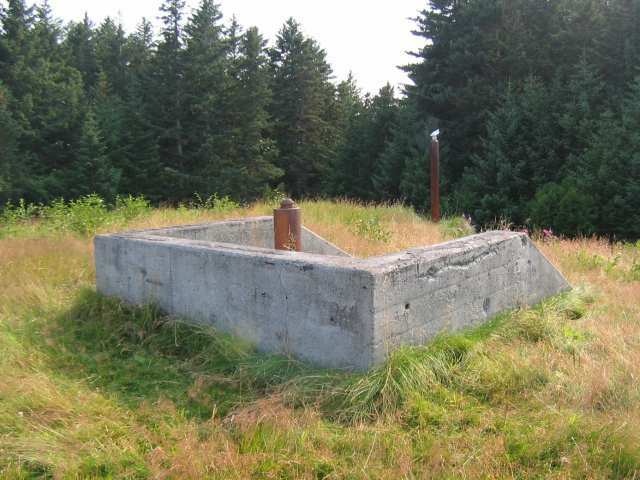 The Coast Artillery took control of Battery Const. #404 on December 30, 1943, after about one year of construction. 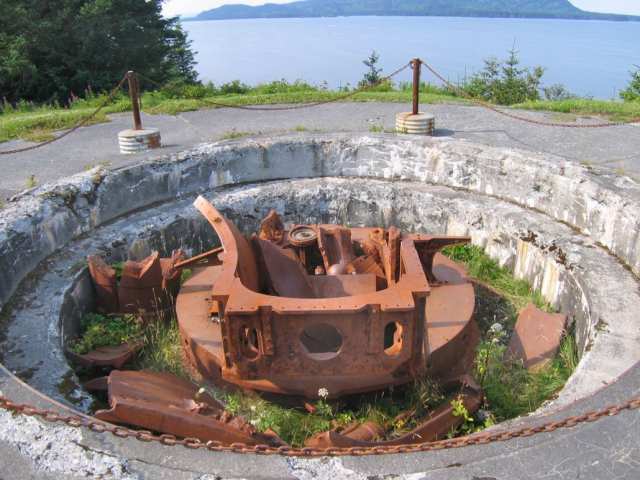 The battery was armed with two 8-inch Naval guns positioned to either side of the central battery structure. 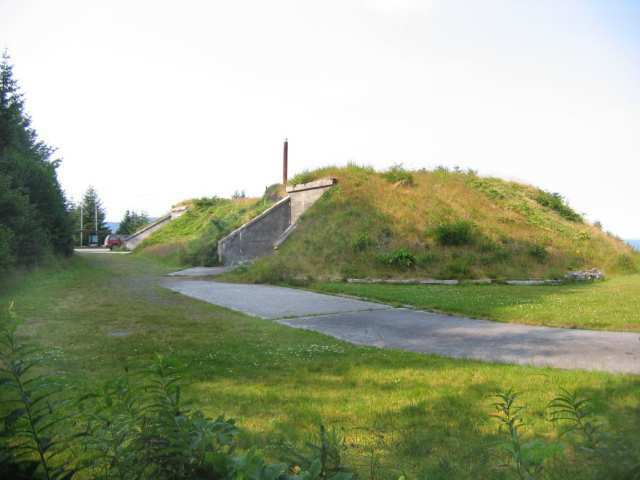 Ammunition magazines and support facilities were housed within the battery structure. 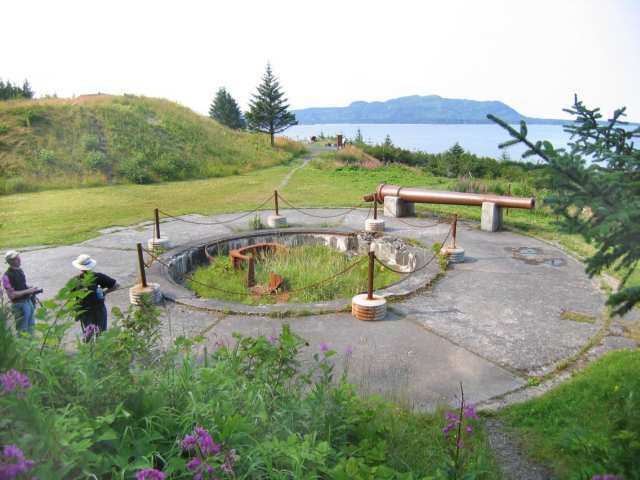 The battery is now the home of the Kodiak Military History Museum and houses many interesting artifacts of both Coast Artillery and general military origins. 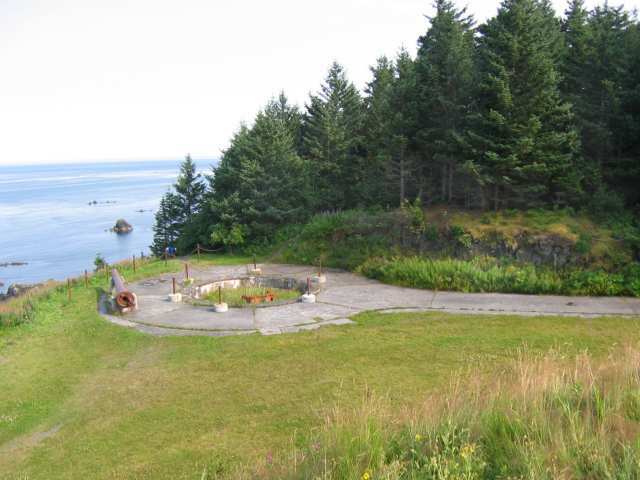 Looking north at the gun position. 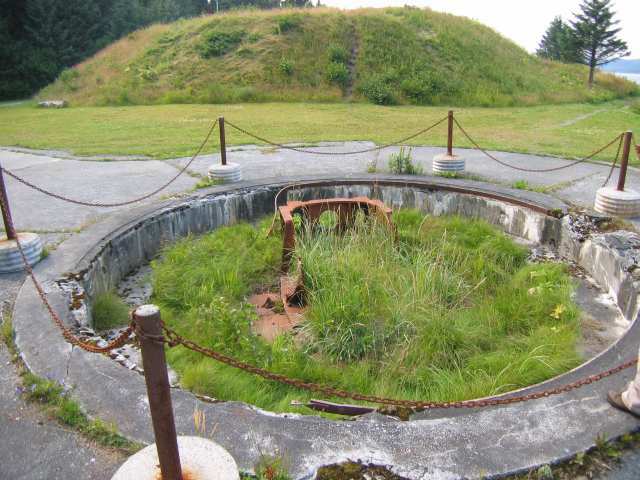 The central battery structure is visible behind the gun position. 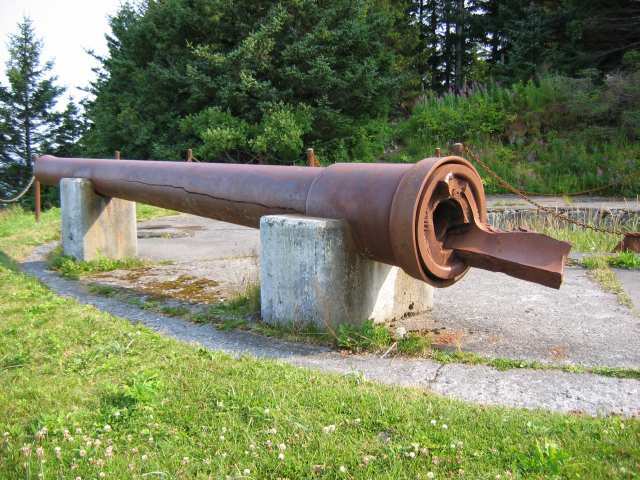 Detail of the gun tube on display. 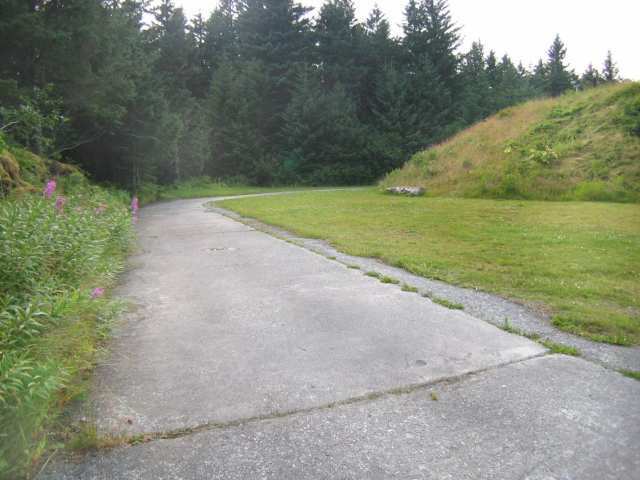 The runway from the gun position to the magazines. 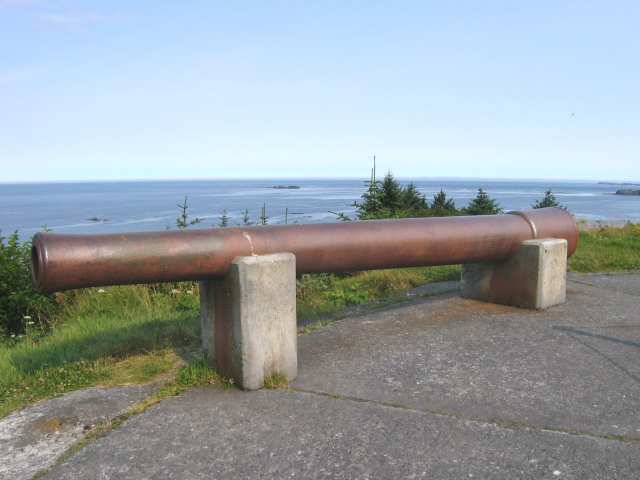 The gun position seen from the top of the battery. 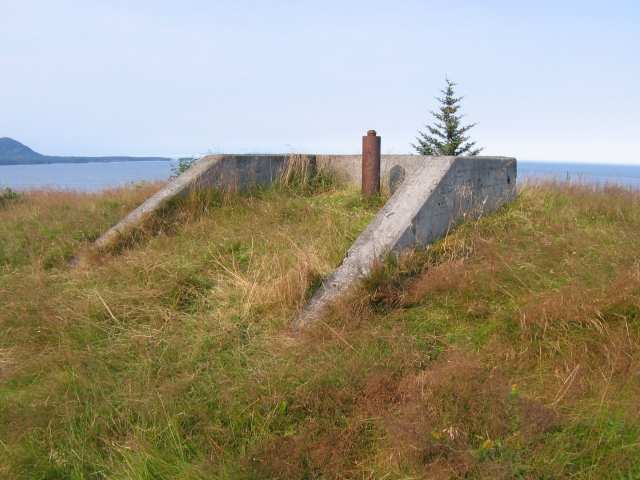 Looking north at the rear of the battery. 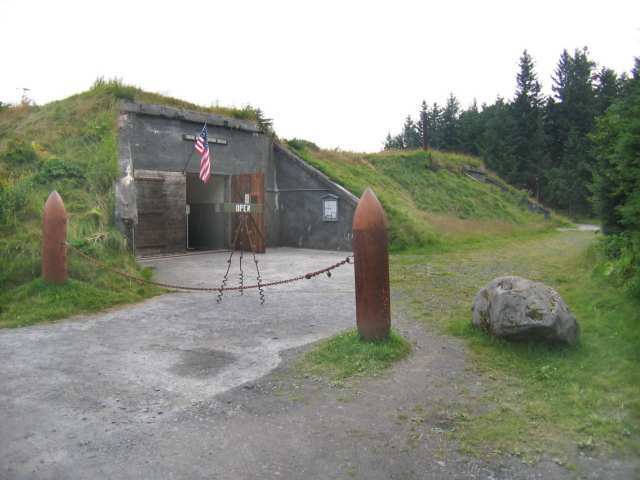 The #1 entrance to the central battery structure. 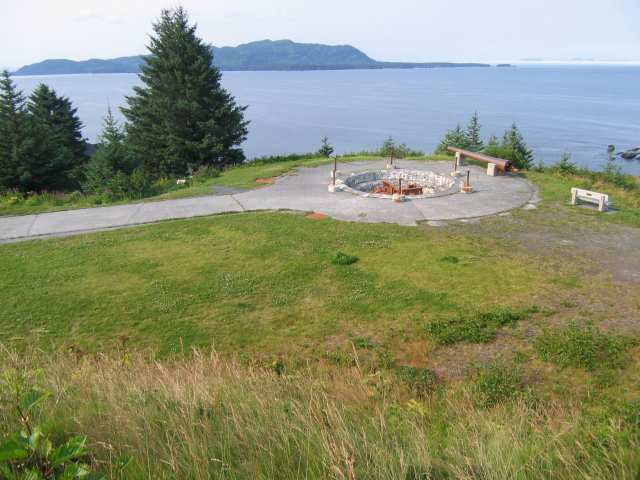 Looking southwest at the gun position. 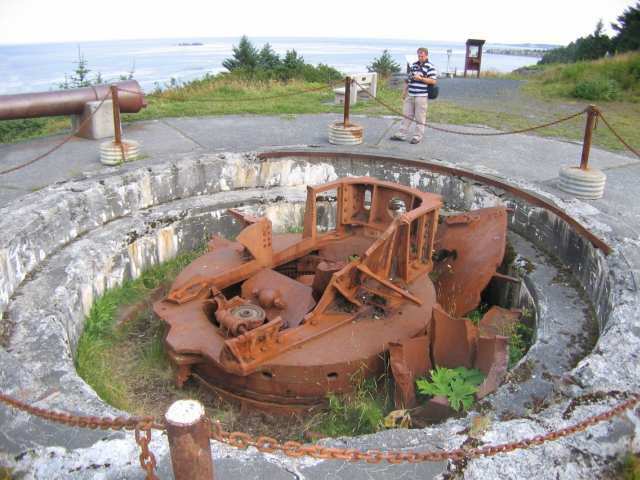 Much of the destroyed gun carriage remains. 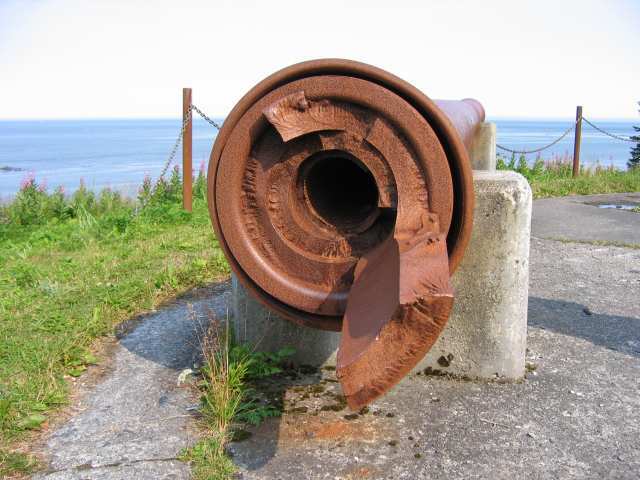 Detail of the gun carriage. 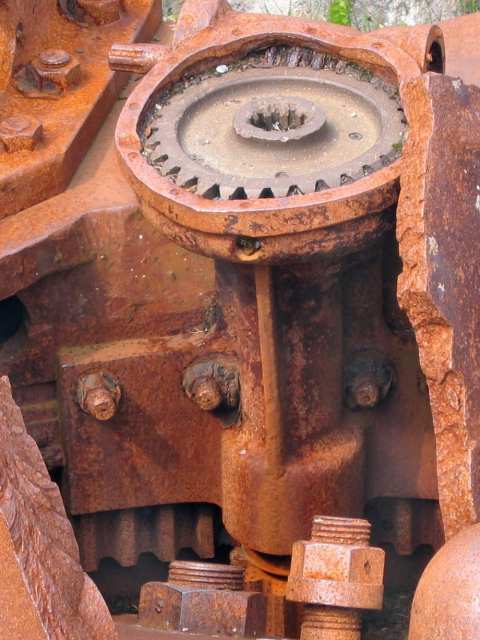 Detail of the traversing mechanism. 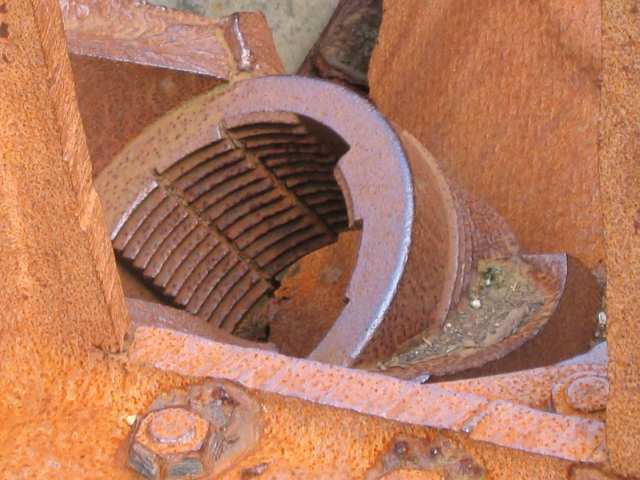 Parts of the breechblock remain near the carriage. 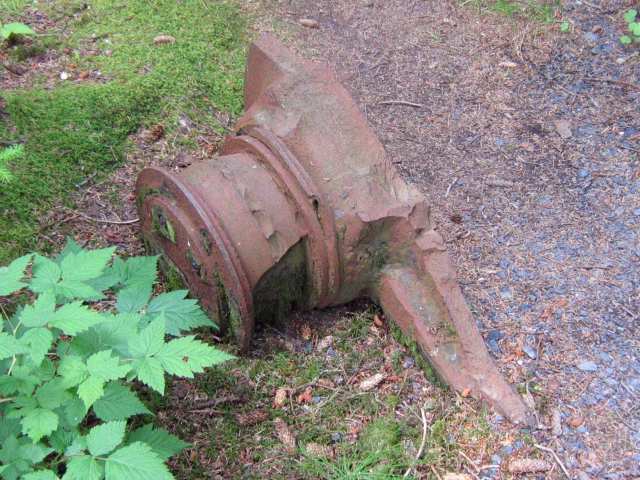 Part of the carriage was blown several hundred feet away when the guns were destroyed. 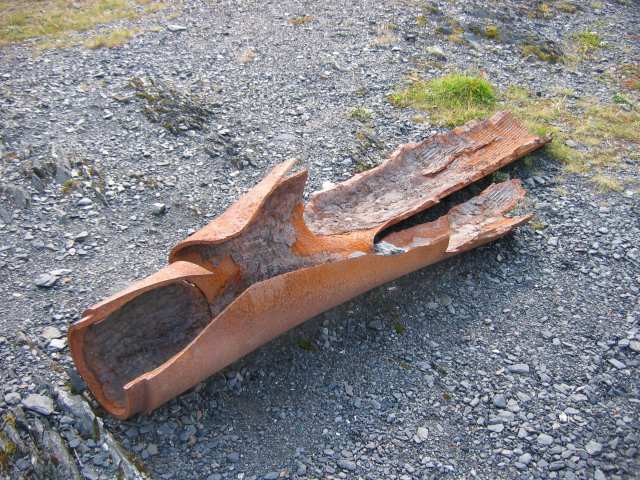 Part of the gun tube, now some distance down hill from the gun position. Most of the #2 gun tube is on display. 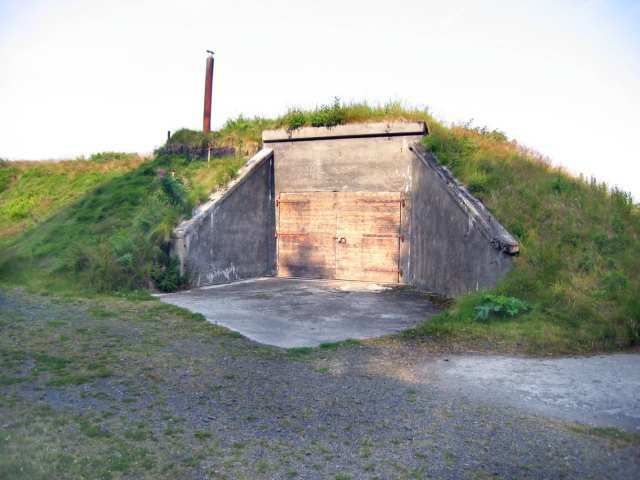 The #2 entrance to the central battery structure. 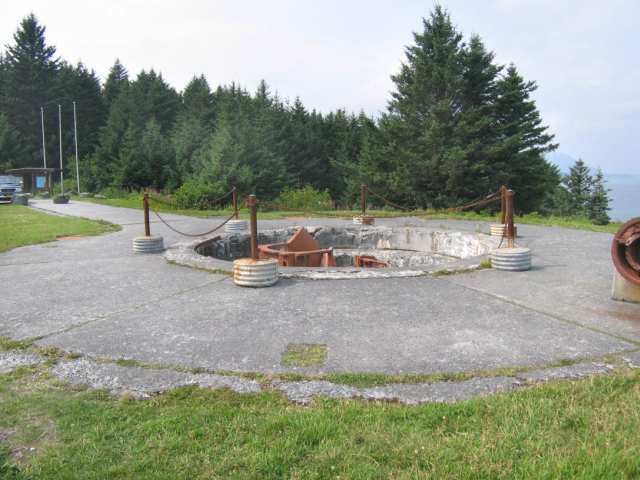 The small fire control station EBC 6 (possibly for Emergency Battery Command 6) was located atop the battery structure. The station has half-height concrete walls, and historical photographs show wooden upper walls and roof. Looking north at the station. Looking south at the station. Note: The form 7s include several inaccuracies.